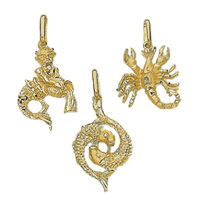 Pendants and charms are a personification of who you are. 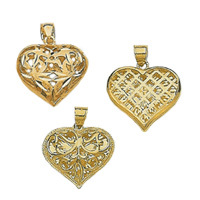 Gold pendants can be a portrayal of your particular beliefs, a symbol of a hobby or trade, or a hanging article of affection. 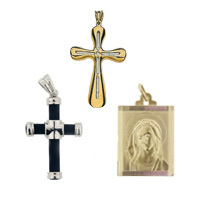 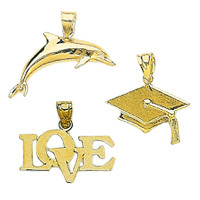 Gold pendants and charms are a great addition to your gold chains or charm bracelets. 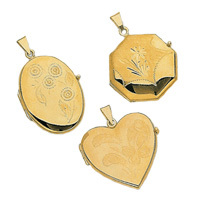 With a great selection and wholesale prices at your finger-tips, go ahead and add charm to your jewelry with a pendant today.